...and there it is. The 2013 Worldcup schedule. 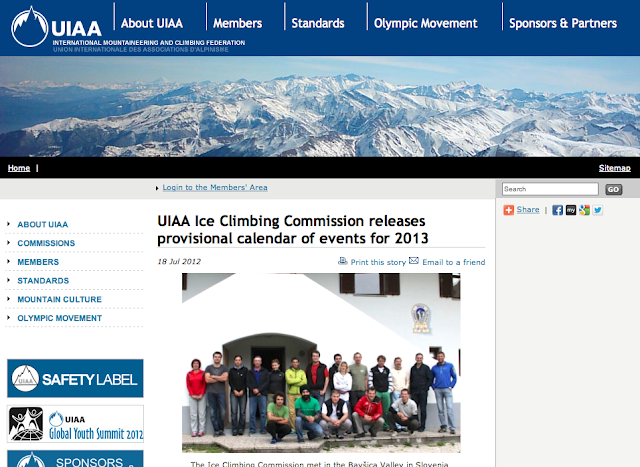 The UIAA announced the schedule for 2013 with some new things and some old things. New: Worldcup in Rabenstein (Italy). The enthusiasts of the local icewall there have done a good job last years organising a fun and proper competition and for that they're rewarded with a Worldcup! Congrats! 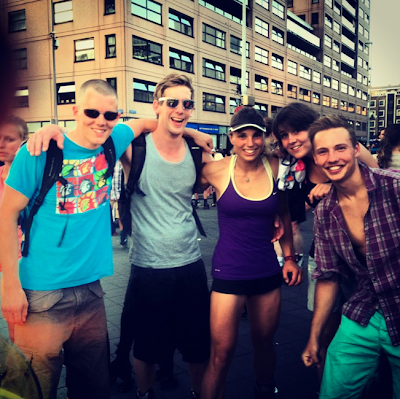 I'm not going to join all the Worldcups in the schedule this year and climb more outdoors. The 'ultimate' climb for me is a mixed/ice route on a natural wall. The Worldcup is fun (and sometimes not), but pureness is where my heart is. I often have bad comments about the Russian part of the iceclimbing Worldcup. There are too many Russians taking part and the rules seem to be bend to allow them all, the routesetters in Busteni did a bad job, the Russian judge made some really bad mistakes, it's hard to communicate with most as their foreign (non-Russian) language is limited and one Russian seemed to have a crush on me (and that was just a bit too much). But theres one Russian who is working incredibly hard (together with others I suppose) to get iceclimbing to a higher level. He managed to get iceclimbing to the Olympics! For the first time ever iceclimbing will be shown as sports on the Olympic games. Sochi, Russia 2014 will be the place. Very, very, very good job Pavel Shabalin! Meanwhile it's way too warm here to think of climbing ice. It's sunny, warm and I'm busy with my lost luggage, the trip to Iceland, my work and yesterday evening we joined with thousands of others the Wednesday night skate. It all was quite slow but fun! Photo taken by a motorbike policeman with brown teeth.